QuickPro offers business / commercial lock change, replacement, repair and rekey in Atlanta, Brookhaven, Chamblee, Tucker, Norcross, Dunwoody, Smyrna, Decatur, Stone Mountain and all surrounding areas. Running a business is hard work. Owners and Managers have a lot on their plate. Worrying about the security of your locks shouldn’t have to be on the list of things to do. Let the professionals at QuickPro Locksmith in Atlanta, Georgia take care of it for you. As a leader of your company, it’s important that you maintain the safety of your employees and your business’ important assets. The commercial locksmiths at QuickPro Locksmith are experienced in providing business lock change, business lock repair and business rekey services. 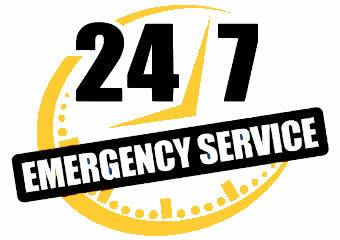 If you’ve been locked out of your building, office or facility give us a call. We specialize in commercial lockout and business lockouts. Our commercial emergency lockout services are available 24/7 in case you run into trouble and need immediate access to your business’ location. We understand how important it is for you to be able run your business, and you aren’t going to be able to open your store if the keys are nowhere to be found. QuickPro Locksmith of Atlanta, GA is ready to send one of our technicians to your location right away so you can get back to work fast! When your lock stops working correctly, it isn’t always necessary to get a whole new lock. It’s possible that your problem could be solved with a business lock repair. If your lock is causing you and your co-workers trouble, contact us at QuickPro Locksmith of Atlanta and we will send one of our commercial lock repair specialists to your location to take a look. If it can be fixed with a business lock repair rather than a replacement, then our technician will let you know. We want you to get the best possible value out of any commercial lock repair service. If you find yourself in a business lockout, we might be able to provide business rekey services. Rather than replacing the entire unit, we can make you a new key. When you get a commercial rekey service, all previous keys will no longer work for the lock. 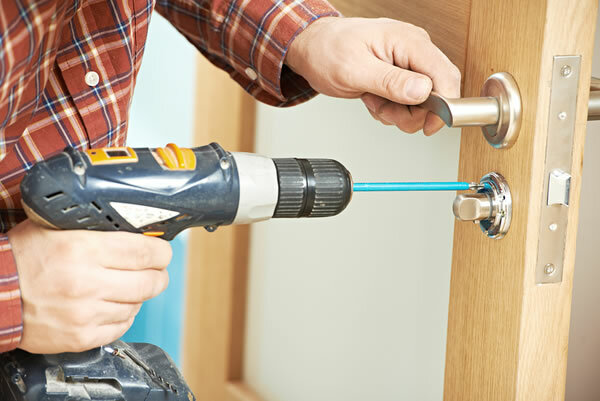 If you need business rekey services, call us and set up an appointment with one of our friendly local locksmiths. Business owners usually get along with their co-workers. But sometimes, even the greatest work relationships can turn sour. If an employ is fired or quits and there is a chance for retaliation like possible vandalizing or burglary, then it’s best to go ahead and schedule a commercial lock change from QuickPro Locksmith. Doing so will make sure that they can’t come back to your business after hours and try to get into your property. High volume businesses often have more employees than smaller companies. If your store has a lot of people working the register, or if you run a business where people often come and go pretty quickly, then getting commercial lock change services is a must. Unfortunately, many business break ins are conducted by employees. Even if you only allow long standing workers access to a set of keys, there’s still a chance for others to steal an important key, get a copy made and quickly return it before anyone notices that it’s missing. It’s better to be safe than sorry. If you have a store that’s exceptionally busy, or a lot of new hires that come through your doors, then you might want to schedule routine business lock changes throughout the year. If your Atlanta business’ property is victimized by a thief, be sure to change the locks immediately. Even if it was an unsuccessful attempted break in, they might have made some spare keys or given a set to someone else. Avoid a second burglary by getting a business lock change. The lock experts at QuickPro are well trained to provide high quality commercial lock changes. If your Atlanta, GA business is in need of commercial rekey, lock changes or commercial lockout services, give us a call right away. Our Atlanta locksmiths are ready and available to help. Even if it’s a commercial emergency lockout that’s happened in the middle of the night or on the weekend, we will have a locksmith at your business’ location as soon as possible.